First year Mo Bro Mike Kavanagh has been battling for the top of the leaderboard and Mo Mo title all season. After getting involved with Movember through his company, AstraZeneca, Mike realized that his professional background and personal cancer experiences could help him make a significant impact with Movember. Mike has spent his career in the pharmaceutical industry, many of those years were in oncology and a few specifically focused on prostate cancer. Mike’s life has been deeply affected by cancer. He lost his grandmother, mother and, most recently, his wife to different forms of cancer. Since his wife’s passing in June 2013 Mike has been looking for a way to honor her. With their wedding anniversary being on November 1st, Mike felt like Movember could be the perfect organization with which to get involved. Mike started his fundraising efforts on Movember 2, and has used simple tactics to generate awareness for Movember. Usually clean-shaven, his first ever moustache has grown in partially blonde, and a little bit black, leading to lots of conversations, and a few laughs. He promoted his new Movember look on social media while emailed different groups of personal and professional networks telling people what he was doing. He had never fundraised for another charity before, and was not offering any rewards for donating. He simply shared his personal story, his hatred of cancer and his faith in Movember to spend the funds effectively and make an impact. Mike has two children who have also gotten involved in the fundraising efforts. One night early in Movember, Mike’s 10-year-old son Dylan came downstairs with $300 from his First Communion. Dylan told his dad that he had enough stuff and wanted to put his money towards killing cancer. Mike was moved by the gesture, but told Dylan they would put his money in the bank and encourage other people to donate to Movember. Dylan left his dad’s office dejected only to return a few minutes later, drop $100 on his dad’s keyboard, and slam the door on his way out. Mike took a picture of Dylan’s $100 donation and posted the story on Facebook, sharing his son’s generosity with friends and family. By the next morning multiple people had matched Dylan’s $100 donation and he had helped raise over $1,000. The next day Mike told Dylan what his donation had created and Dylan’s eyes lit up with a glimmer of realization and pride that he had done something special to kill cancer. 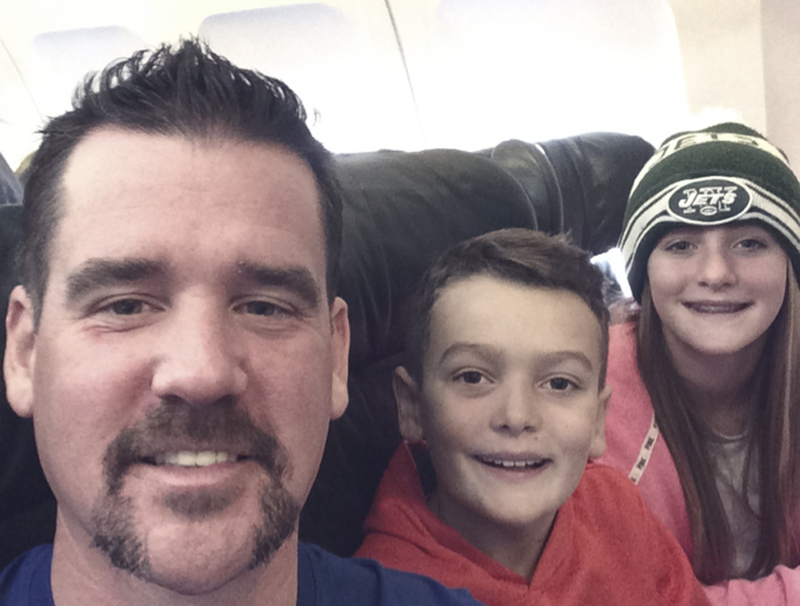 Mike and the Kavanagh clan are now deeply embedded in the Movember family. He has met with members of Mo HQ and lots of local Mo Bros in the Philadelphia area. Mike described the Movember community as a brotherhood where he has found other like-minded people who want to support him. Past Mo Mo, Sandy Goodman has embraced Mike and has helped him navigate the landscape of fundraising. This newfound friendship proves that while the competition to raise the most funds can be fierce, we are all on the same team to change the face of men’s health. Mike reminds us how many people are touched by cancer, and what a ripple effect the experience has on a family and a community. At Mo HQ we know that everyone has a cancer story. We can’t thank Mike enough for sharing his story with us. It’s not too late to support Mike’s fundraising efforts.